Did you know that there are more intricate components in your Frisco plumbing system than any other part of your home? …And hundreds of things that can go wrong! Some plumbing issues are just a nuisance, and some can spell disaster. Problems with your Frisco plumbing can be scary, stressful, expensive and even dangerous, but most plumbing problems can be avoided with the right team on your side. Our plumbers at Frisco Plumbing Pro have completed months of rigorous training. We insist that our technicians are fully trained. From communication skills to appearance they are respectful of you and your property. In short, they are truly an elite group of whom we are very proud. When our plumber arrives at your home for a plumbing examination and repair, he will not leave until the problem is fixed. Our one and only goal is to respond to our clients’ needs, diligently, quickly and honestly, with the highest regard for customer satisfaction. At Frisco Plumbing Pro, we are committed to being the company of choice for our customer’s Frisco plumbing and heating needs. We strive to exceed the expectations of our customers on every visit. Our Frisco plumbers provide honest, personalized service that ensures you years of comfort. We back this philosophy with our guarantee. You’re assured of the best possible job, performed by well trained professionals who are held to the highest standards in the industry. If you are facing a new project, you will have the time to shop around for the Frisco plumber that will meet your needs. Some plumbers may only work in new construction or remodeling projects and many may only work in commercial plumbing, so make certain you find one that can meet your specific needs. If you are remodeling your home and are fortunate enough to find a Frisco plumber that does both residential remodeling and repairs, you’re in luck. You will have a plumber that is able to trouble-shoot and repair any problems with ease when he is familiar with your systems. Fully standing behind our work. Please give Frisco Plumbing Pro a call today at (972)332-3926 and let us know how we can be of service. We look forward to working with you. Plumbing is a learned skill, and often mistakes are made because the home handyman does not have the knowledge of the proper tools, compounds or pipe for the job. All plumbing systems get clogs eventually and a lot of time can be saved on a Frisco plumbing job if you follow a few simple rules. You can fix the plumbing problem and learn how to repair plumbing problems yourself if you have the right tools, know the technique, and you are prepared to do it. The tools aren’t all that expensive, and sometimes can be rented, but if after a few attempts you can’t get the clog loose or the repair complete, call us for your trusted Frisco plumber today. Does it seem like the water coming out of your faucet is being shot out of a cannon? Or have you gone to turn on a faucet and find the water is coming out so hard that it soaks your clothes? If it does, then your pressure reducing valve (PRV) may be not working properly. 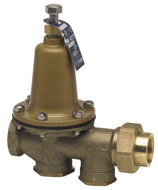 This valve regulates the rate at which water is flowing through your faucets and fixtures. Not only is this problem extremely annoying, but is also dangerous and can put too much stress on your pipes. The result could mean any working mechanism (sink, toilet, etc…) within your home being blown out. Somewhat related is the expansion tank. It isn’t always easy to spot a faulty valve, so call for the professional Frisco plumber that knows pressure reducing valves inside and out. 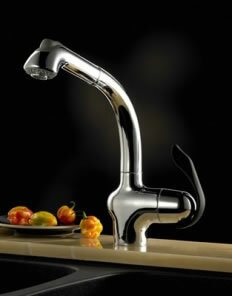 Sink drain odors are common and in most cases, can be easily fixed. If your trap is intact and functioning properly, you will normally find odors coming from the pop-up mechanism. This is where you will have a build up of gunk and hair that, in time, will create quite an odor along with clogging the sink drain. By simply removing the mechanism and cleaning it, you will probably eliminate the odor. As a preventative measure, fill the sink weekly with hot water and let it drain fully. If this fails to work, then give your licensed Frisco plumber a call to diagnose the issue further. A sewer clean out can either be found in your yard or on an exterior wall of the home. Many homes have both. The clean out provides direct access to your home’s sewer system without having to go through a roof vent. If your home was built without a clean out you should consider installing one. Call Frisco Plumbing for an evaluation of your sewer system. Most cities require a permit for the installation of water heaters. These are for your protection by ensuring that the proper safety requirements have been met. By having your local plumbing official inspect the installation, you can be assured the work complies with all the necessary standards. It is often difficult to determine the quality of plumbing fixtures such as faucets when purchased from a hardware store. Price is not always a good determination. Professional plumbers have experience from working on hundreds of homes just like yours every year. Plumbers know which products work best, last longest, and give homeowners the least problems. When you hire professional Frisco plumbers to do a job, you are paying for their plumbing expertise. Our plumbers are happy to give you recommendations. When a Frisco plumber comes to your home or business he needs to be ready to work. Our plumbers’ trucks are fully stocked with all of the plumbing repair items that will be needed in your typical plumbing problem. So, if it’s a hot water tank, a new kitchen faucet or just some new washers for a valve, they are prepared. Our Frisco plumbers have seen everything that can happen to a home, and our professional, courteous and qualified technicians can fix any plumbing problem you may have. When you call, you can be sure components will be installed expertly by our skilled specialists. Whether it is a tune up, repair or you want an estimate from an expert plumber, we will serve you promptly and professionally. So, for a great plumbing experience and on-site estimates, give us a call today at (972)332-3926.